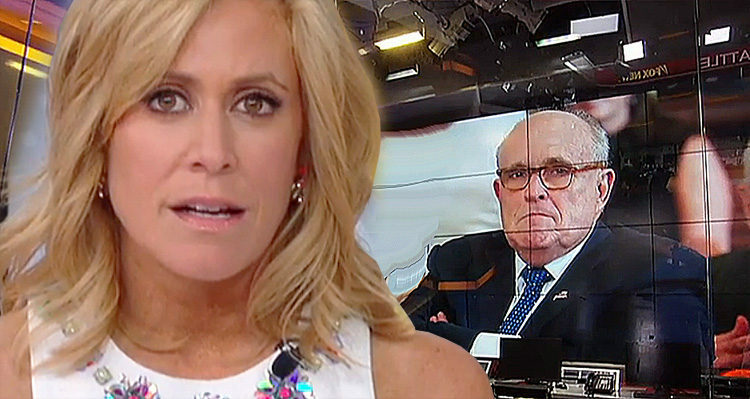 The moment a Fox New host realizes Rudy Giuliani is lying to her in the middle of a live broadcast. Abramson linked to a Mediaite article covering the segment, and we have included the original Fox News clip. (The portion discussed by Mediaite and Abramson starts at about the 6-minute mark in the video). That is where Seth Abramson’s stunning analysis comes into play. Rudy now concedes Cohen says there were *three* conspiratorial meetings: June 6-7: planning for the Russian meeting June 9 (pre-meeting): checking in with Trump pre-meeting June 9 meeting: the meeting itself All told, the 3 meetings involved 6-8 Trump officials. UPSHOT: Rudy Giuliani has now taken us, in under 24 hours, from ONE meeting with three Trump officials (Manafort, Kushner, Trump Jr.) to THREE meetings with as many as EIGHT Trump officials (Manafort, Kushner, Trump Jr., Trump Sr., Cohen, Gates and “two others”). You can watch the clip, below. The beginning of the segment is relevant, but you can skip to the portion noted above by skipping the 6 minutes.